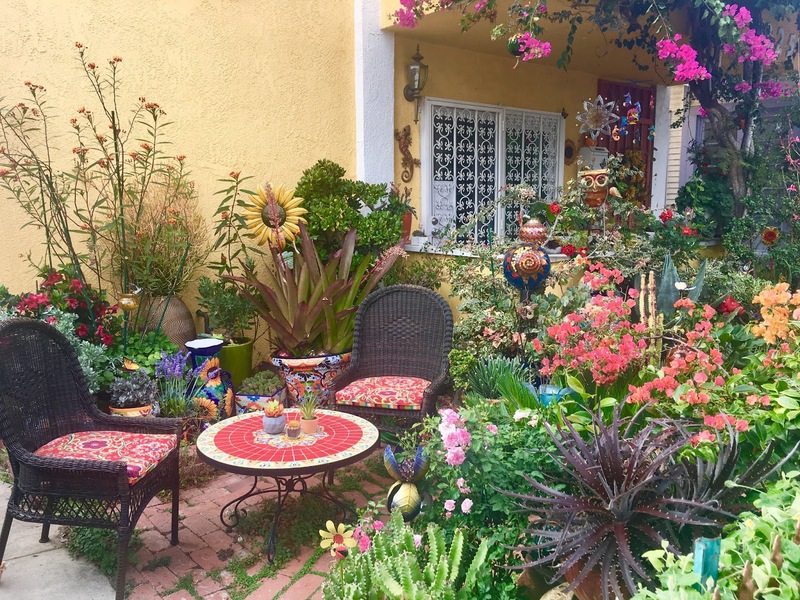 Blogtown: Have A Real Venice Weekend! Both weekend days were beach days, though Saturday was a lot cloudier than Sunday. No matter, as you still get that Vitamin D through the haze, and it was plenty warm enough. With a TON going on. There was a Venice Festival (don't know who put that on, but there were booths and food and live music - by the likes of Venice's own Venice's Mark Lennon and John Vester - and a bunch of fun and good vibes). 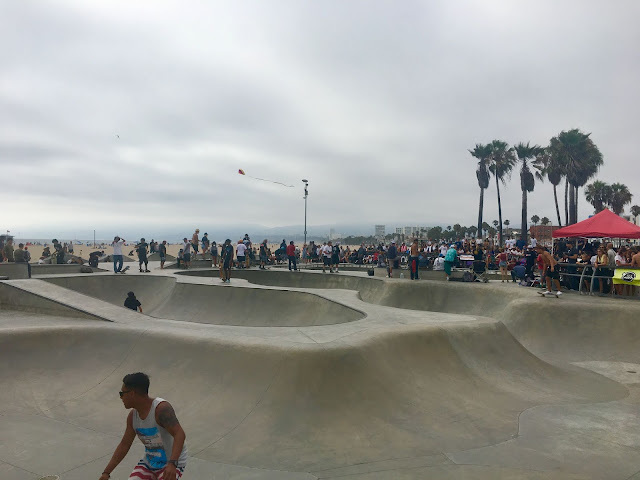 There was a skate contest at the skatepark (I got there when it seemed to be for the 50+ age group still getting it!). Walking to the beach, I noticed a perfectly Venice patio, all colorful and inviting, with just enough kitsch to make it feel like groovy old Venice. I ran into people I knew all both days, which is always the best part about a great day in Venice. I had the breakfast burrito from Hinano's for breakfast on the beach. I swam in the Pacific, whose water has finally warmed up enough to make it a delight, with almost zero easing in time. Especially Sunday, when the sun was all the way out and it REALLY felt like Summer. 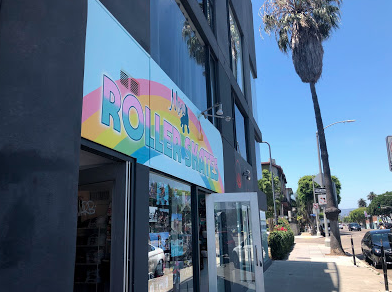 ... but then you see your pals, and watch the skaters, and swim in the Pacific, and find out there's a new store for old school rollerskates in town (Moxi Rollerskates on Main Street), and you get that the Venice Vibe is still very much alive and well. As are the people that love it and want to keep it cool. I know, because I saw a ton of them last weekend. And I hope to see even more on this one ... starting very soon. So, get out there and enjoy all the Venice you can - and get funky. Wear a costume. Paint a mural on your house. Go for a rollerskate. Jump in that awesome water. High five an O.G. Be happy ... because Real Venice is still here for your enjoyment. Dig that.